You are invited to attend the Early Childhood Education Leadership and Equity Summit on Saturday, March 2 from 8am-5pm at San Francisco State University. The Leadership & Equity Summit is an experience that welcomes ECE community members to engage in dialogue and strategies focused on educational equity and leadership in early learning settings. The summit is a call to early care educators, practitioners, and leaders to reflect on and understand our positions as change agents and to uplift strategies that move us toward building an equitable society in which our children, families, and educators will thrive in. Please be sure to register before the event fills up! 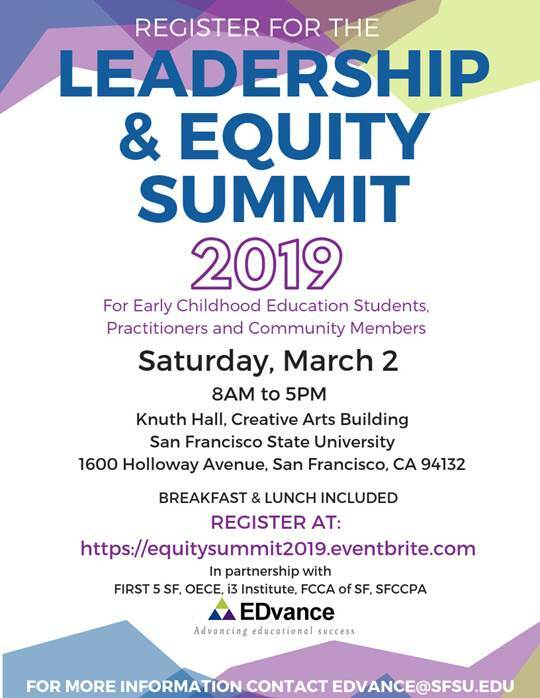 ECESF is collaborating with EDvance & ECE community partners to bring you the Leadership & Equity Summit – for early childhood education students, practitioners, & community members. 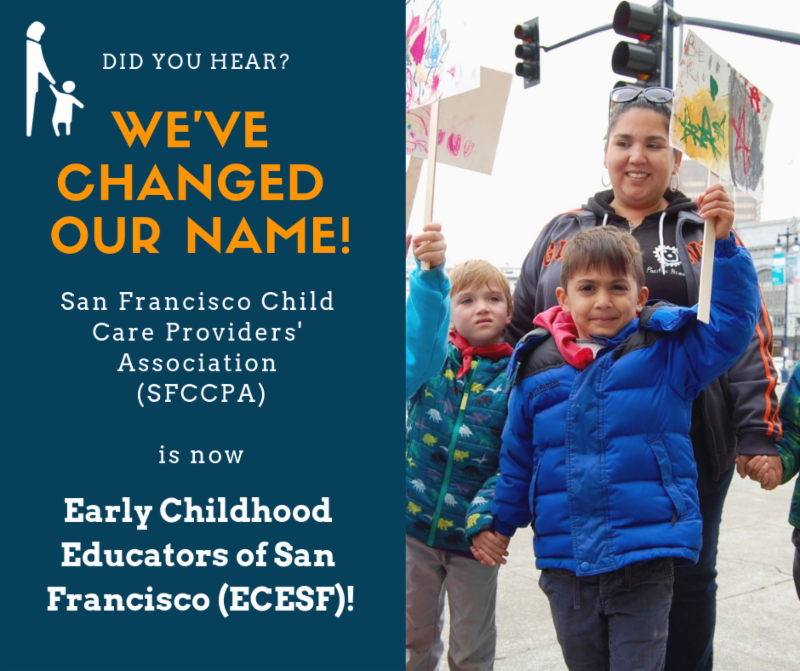 ECESF (formerly SFCCPA) is collaborating with EDvance & ECE community partners to bring you the Leadership & Equity Summit – for early childhood education students, practitioners, & community members.